President Trump had a unique opportunity today – to address the World. Like those before him, he gave a careful crafted speech. He also provided a full-throated pro-American speech – no apologies. What We Expect of the World. What we Expect, Part 2. What We Have Done for the World. “If the righteous many do not confront the wicked few, then evil will triumph. When decent people and nations become bystanders to history, the forces of destruction only gather power and strength. Thank you for your focused speech identifying both historionic and future contributions of the US. For standing proudly for our Constitution, and promise to continue helping across the world. For calling out rogue nations and identifying how ALL nations must choose to eradicate support to terrorists. Thank you Mr. President, well done!! 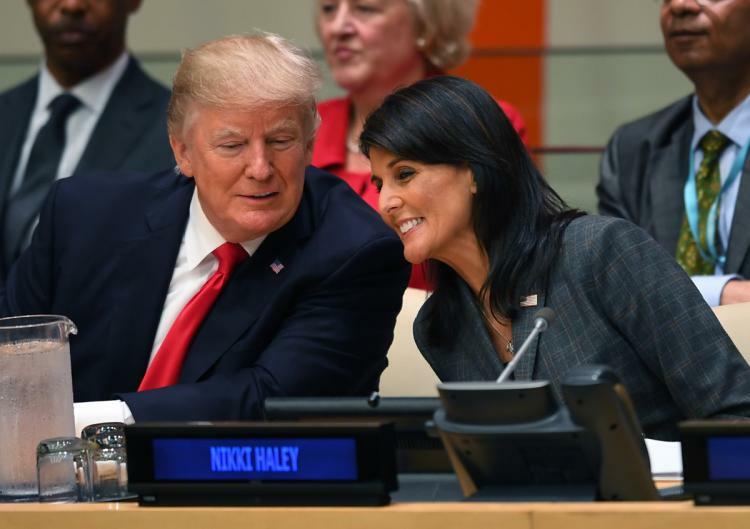 I enjoyed your article My 10 Favorite Lines from President Trump’s UN speech. I believe this was one of President Trump’s finest speeches. Perfectly spoken. Now let’s see action. We want these horrible people stopped from coming here with their horrible customs and filthy way of life. Time to start doing.